Bay State Wildlife provides full services for residential and commercial bird control throughout the Greater Boston Area. A wild bird getting into your home can be hazardous to your health and ruin the aesthetics of your home with their nests and acidic droppings. This is due to the fact that bird droppings can cause damage to painted building surfaces, and equipment, but also because the droppings can contain a variety of disease causing bacteria, fungi, and nematodes. Birds tend to look for shelters to protect them from the weather elements and to get high off the ground to protect their young. 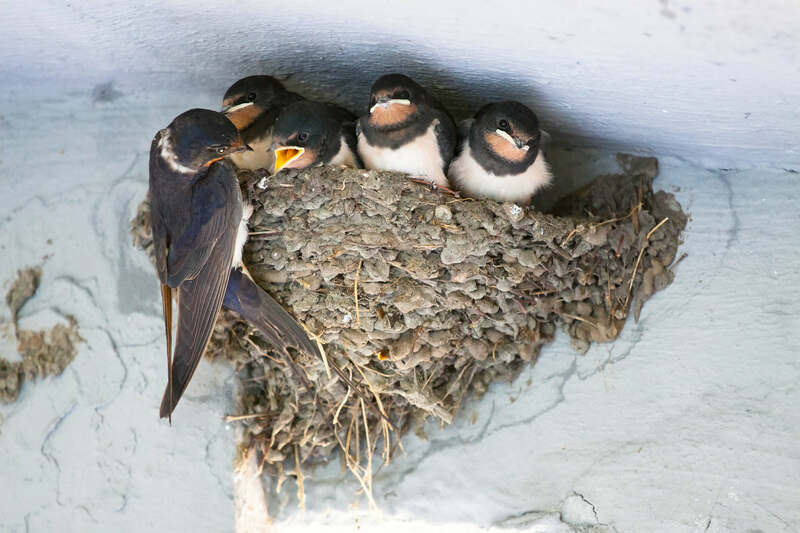 They will try building their nests in locations like your garage, decks, soffits, sheds and areas that are less than desirable. Implementing a strategic bird removal plan by specialists like Bay State Wildlife is critical since birds can cause a lot of damage and attract other birds. Bay State Wildlife has the experience and equipment required to remove and safely control all bird infestations at your home, business or commercial property. If you have bird problems, call us today at 781-830-6080 for our bird removal services and we will help relocate & prevent them from returning to your home.